Top o’ the morning to ya! With St. Patrick’s Day on Sunday, we felt we should share the Irish blessing of all the fresh green decor in store! Will you be starting your day off with an Irish coffee? This recipe plaque from Vintage Curations provides perfect instructions for the morning concoction. Cheers! Upstated Vintage has the luckiest mugs for you to enjoy these beverages! Depending on how strong the coffee is (roast or whiskey--we won’t tell if you don’t), you might need to sit down while you sip. This chair in modern geometric turquoise and bright green fabric from Hill and Gray makes the perfect spot. When there’s been enough caffeine and it’s time to switch to cocktails, we suggest serving from one of these green beverage sets from Four Corner Finds. This vintage florentine tray from House of Bristow is the perfect accessory to serve guests. If you’re a fan of Guinness, this pair of paint-like mugs from Yorick & Co. will make you feel like you’re at the brewery sipping suds. These small leprechaun accessories from Patina point you in the right direction! We all know the pot of gold is at Cottage Grove Vintage! We’ve even got the perfect speech as you toast your fellow leprechauns. 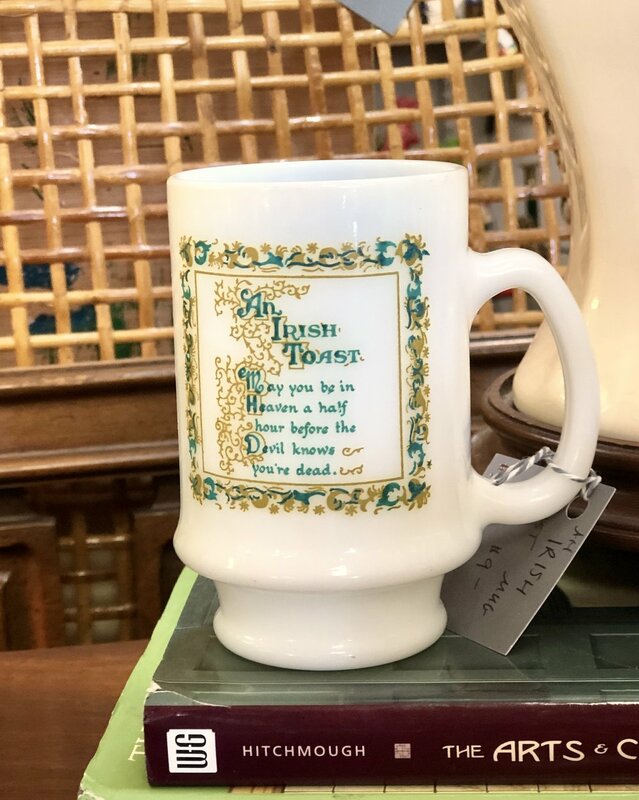 To ensure you won’t forget the words, they’re printed on this cheerful mug from Upstated Vintage. 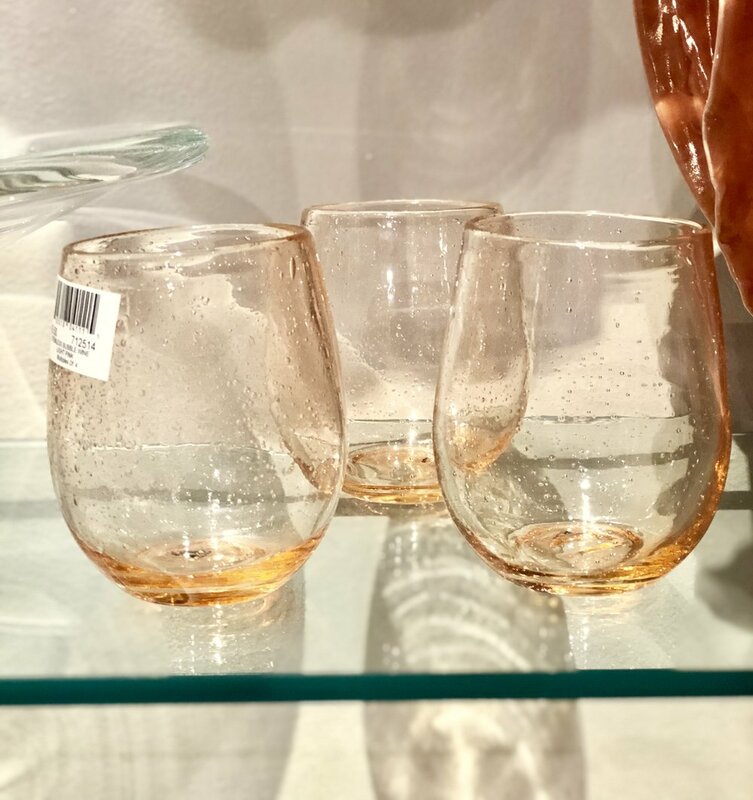 If wine is the preferred beverage, these emerald glasses from Fox Hill Vintage complete the beverage selection. Having an occasional chair close by is always a good idea when entertaining a crowd. 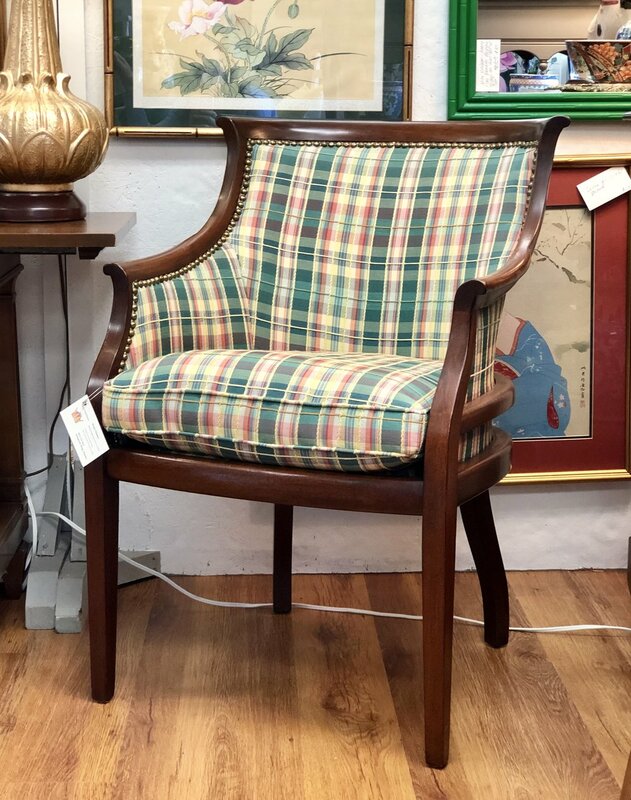 King’s Classics’ small stool in kelly green is easy to pull up for extra guests and the plaid traditional chair adds an Irish element to festivities. 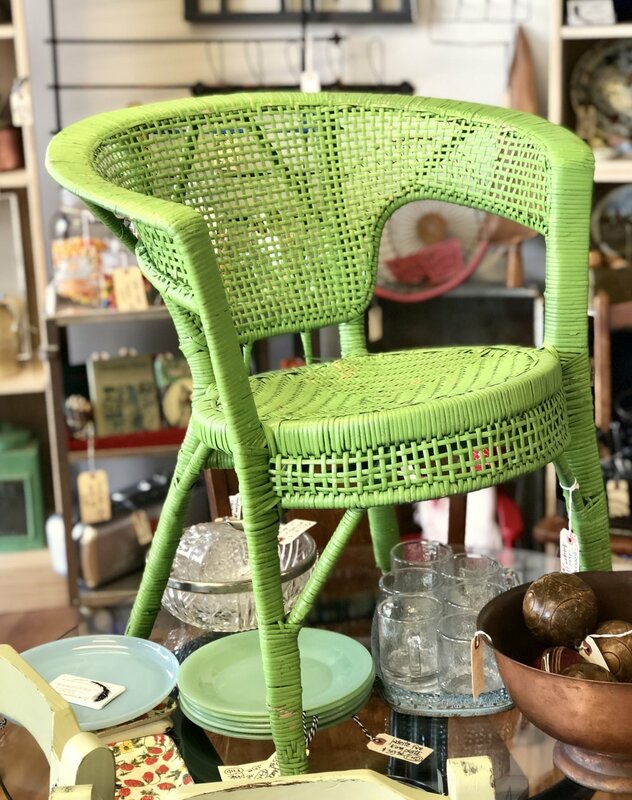 Flow House Design Studio’s painted wicker chair in lime brightens up the scene. 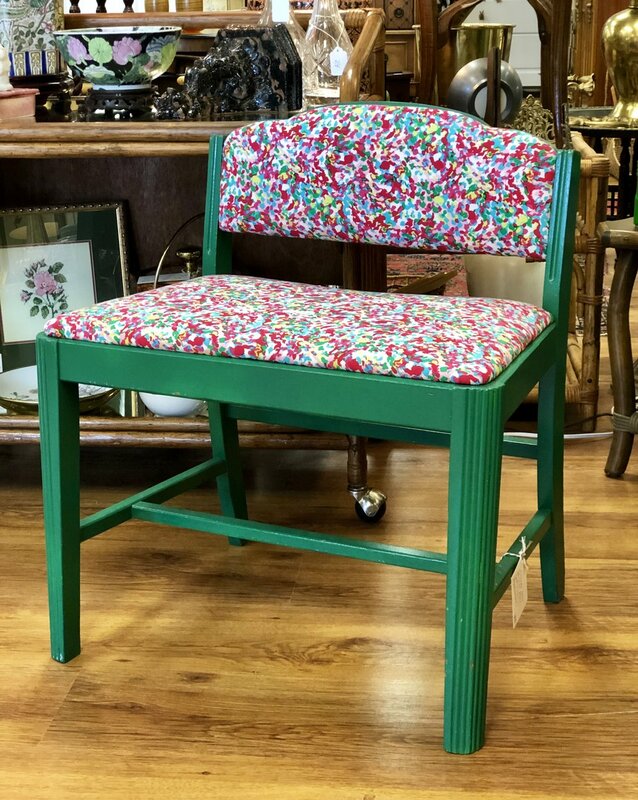 This emerald high chair from Vintage Curations is the perfect spot for the wee ones! To soften the space, these striped Designer Guild pillows from Cottage Grove Vintage offer a spectrum of greens, blues, and purples. 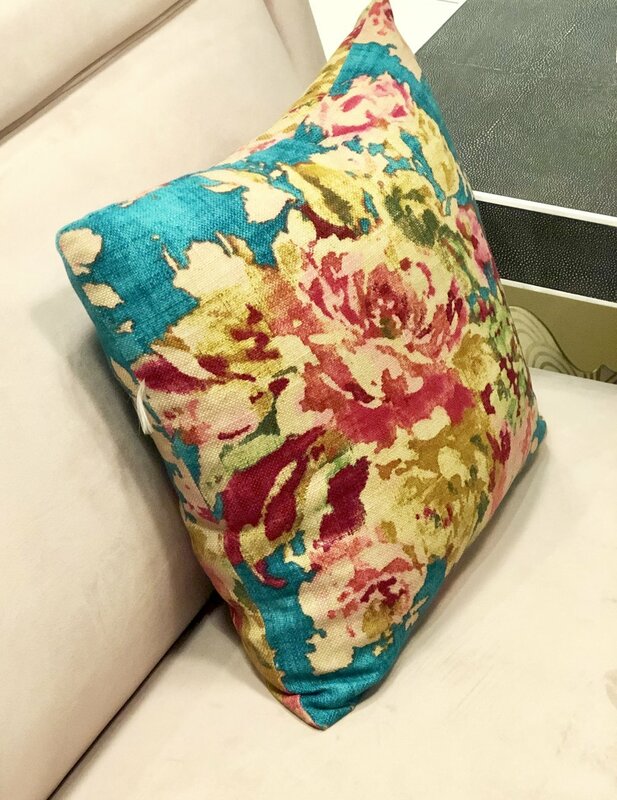 Add a retro vibe with pillows from Wheaton Whaley Designs! If you’re looking for a more rustic approach, these distressed shutters from Pinnacle Antiques will add dramatic height to any decor. 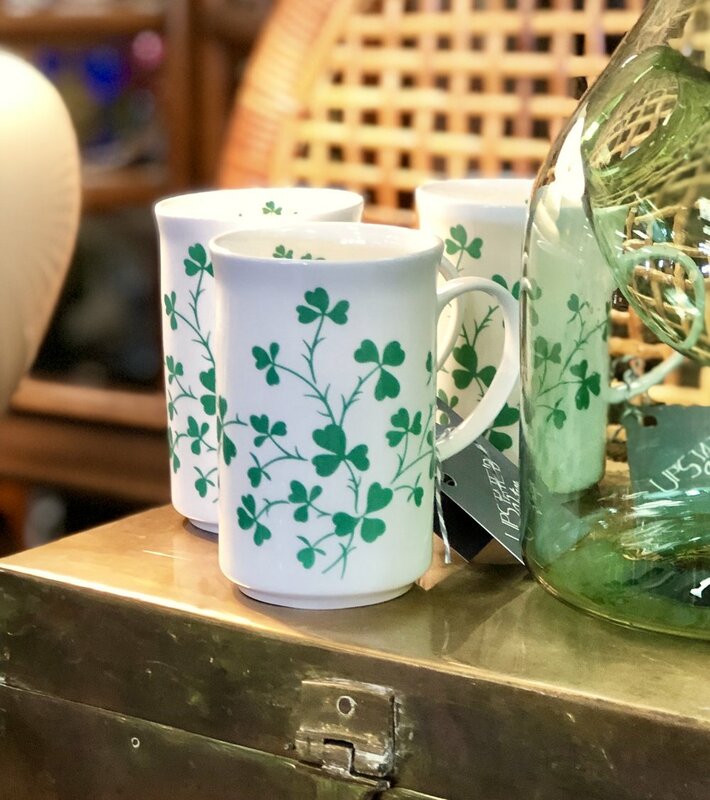 Cottage Grove Vintage has all the necessities to bring the luck of the Irish to your home decor. Stop by and we’ll help you find what you need--whether that’s something green, a pot of gold, or a rainbow! 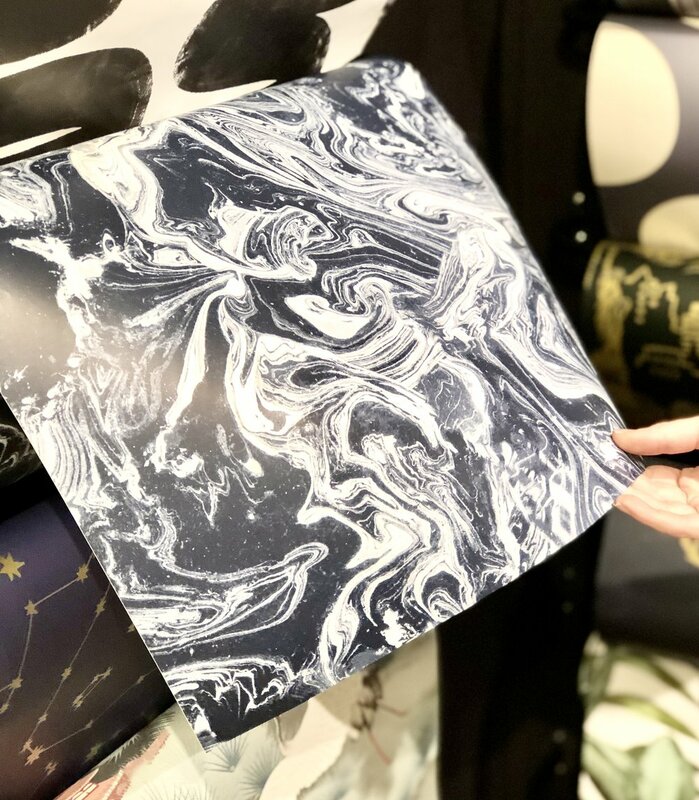 Every time we ooh and ahh over a designed space, there’s a touch of something daring and very often the bold element is achieved through wallpaper. 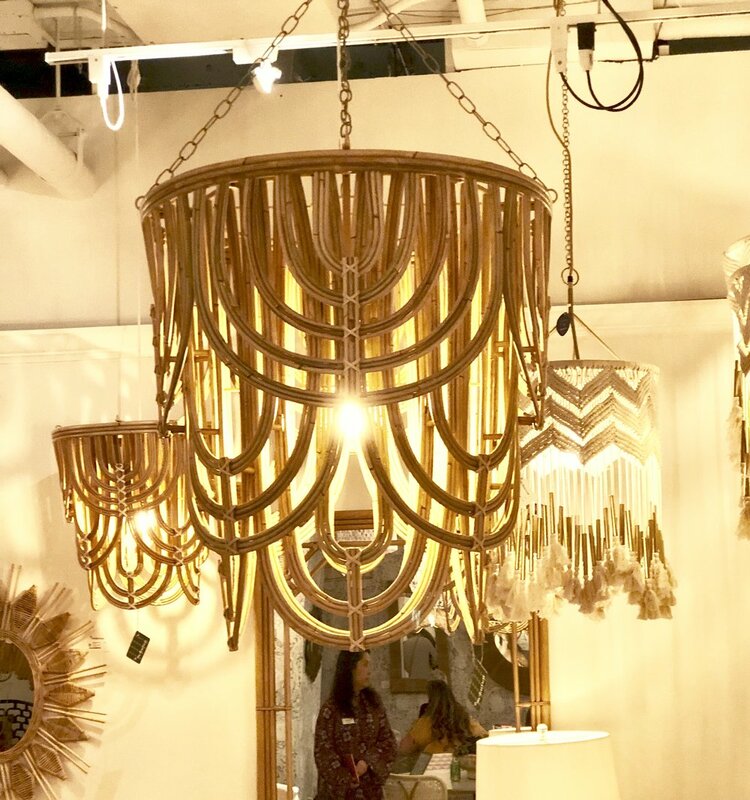 Don’t be intimidated by the idea of enhancing your home with this latest trend. And no, it is not the same dated wall coverings in your grandmother’s home. 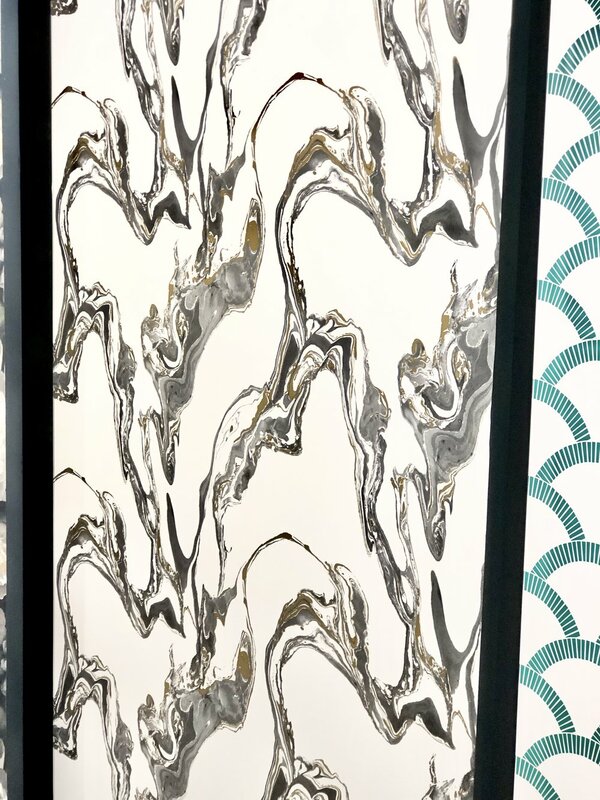 Today’s wallpaper trends are much more versatile and affordable. Here’s five ways wallpaper can boost your home decor. 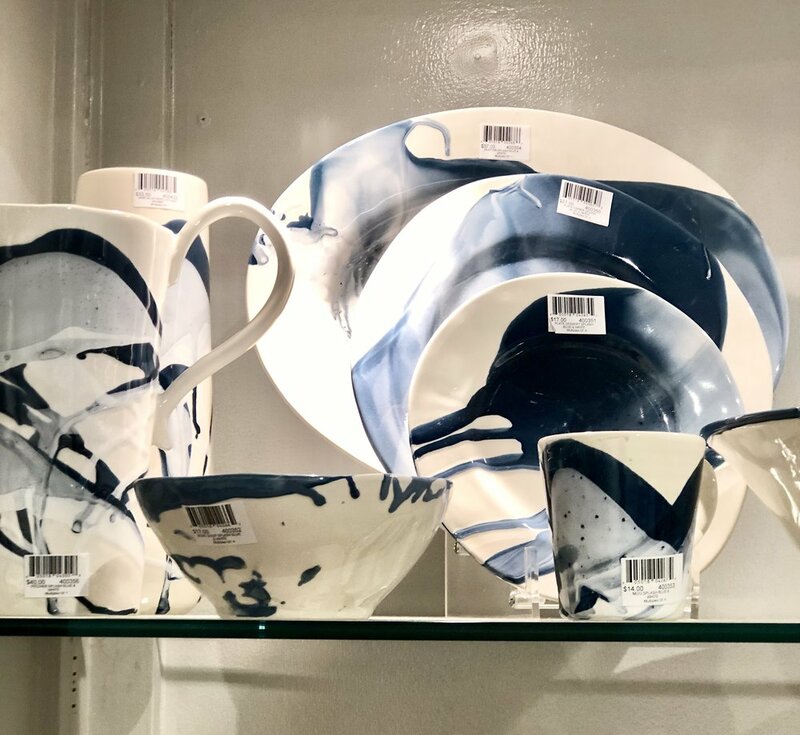 If you only want to dip your toe in this trend, we suggest adding wallpaper to the back of a shelving unit like your china cabinet, kitchen shelves, or secretary. 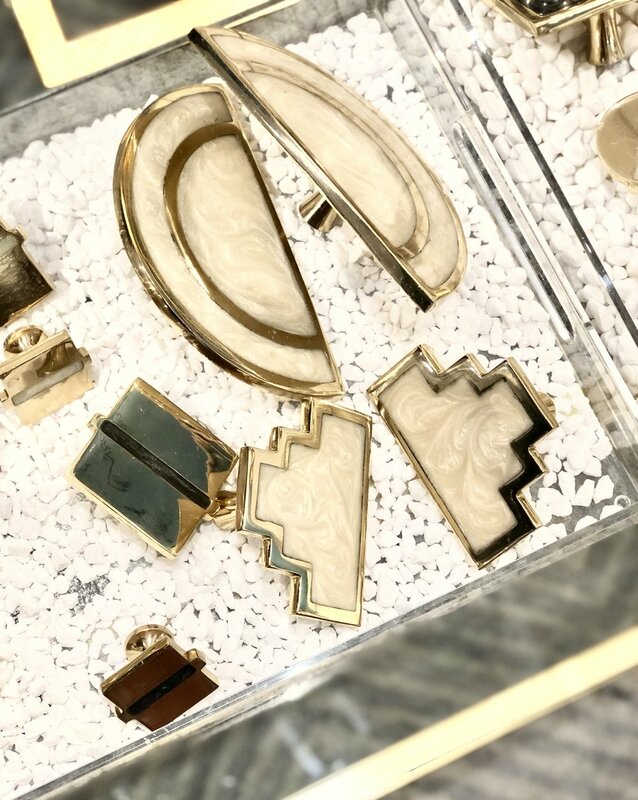 We suggest picking something that will complement what’s on display. 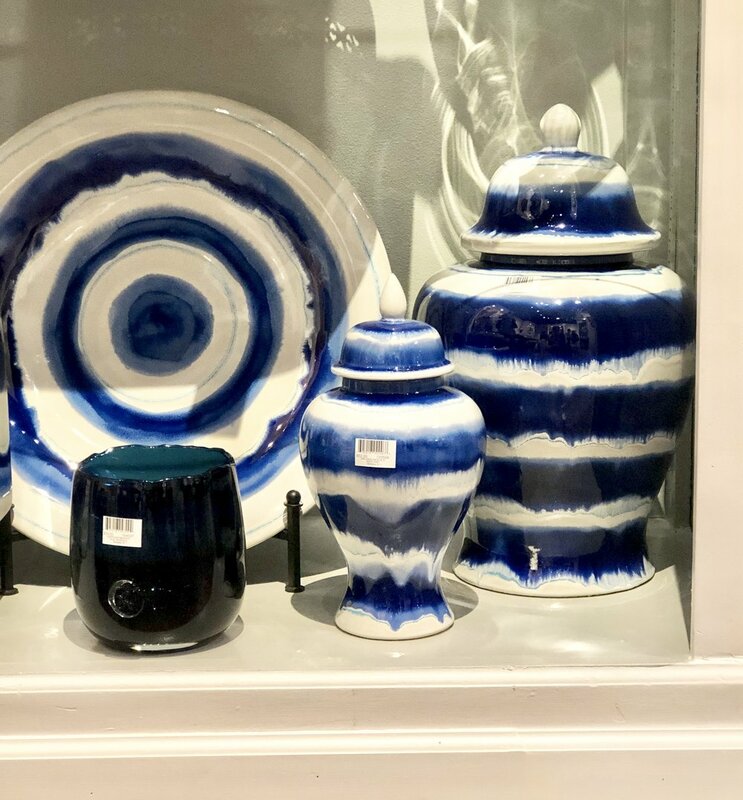 This china cabinet is used to store several entertaining accessories and the simple patterned backdrop provides an accent without being too busy. 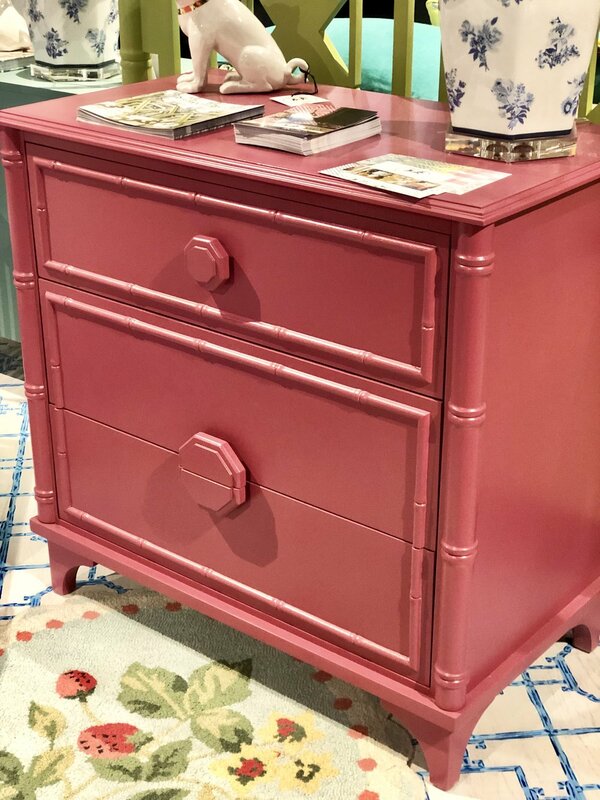 The pink geometric pattern is truly the star in this cabinet showcasing clean and simple home accessories. Applied to the lower doors and drawers, the chinoiserie print takes center stage. The clear glassware on the shelves allows the bright floral paper in this kitchen to be truly captivating. When you’re ready to get knee deep, consider an accent wall. Wallpaper in a bedroom behind the bed can really create a dramatic statement upon entering the room. The single bright wall offers a happy greeting upon entering this tropical retreat. Or perhaps you want to create a feature wall in your living area. This accent wall acts as a large piece of art in such a space; attention getting to draw you closer with intrigue without dominating the entire room. Another way to add a small dose of the trend is to wallpaper a small bathroom or powder room. Because these rooms are small, this a great way to get maximum impact with minimum budget and effort. 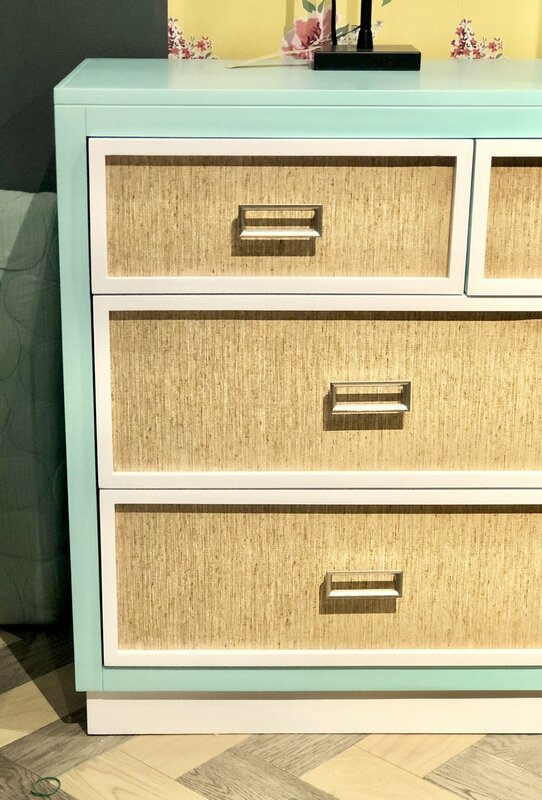 Think of it as the statement earring to your perfectly coordinate outfit; the wallpapered powder room is the perfect accent to your curated home. Talk about making an entrance! 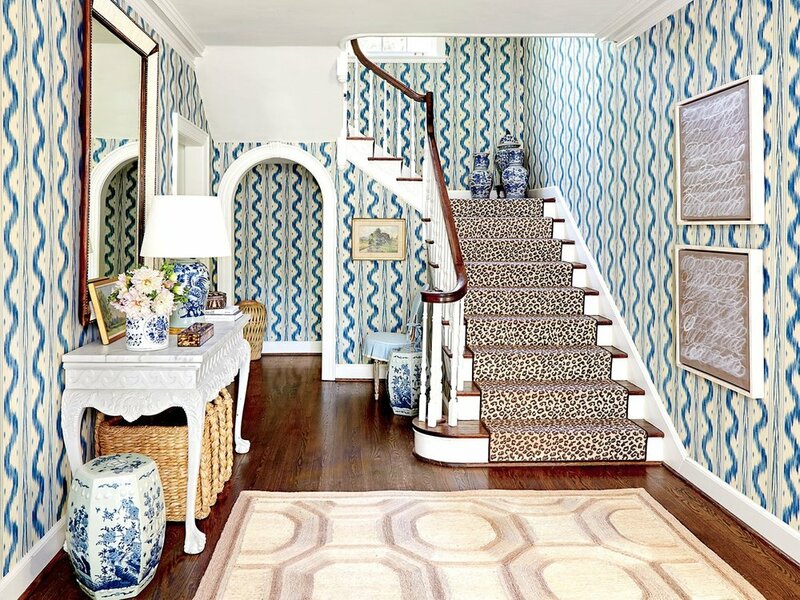 Wallpaper in this foyer sets the tone for chic in the home. Laundry is much more enjoyable when the wallpaper is fun! 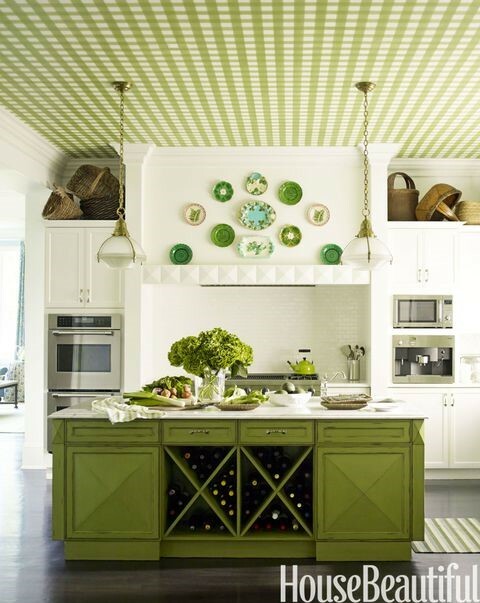 Another option you may have never considered—the ceiling! What a cheery way to get cooking! 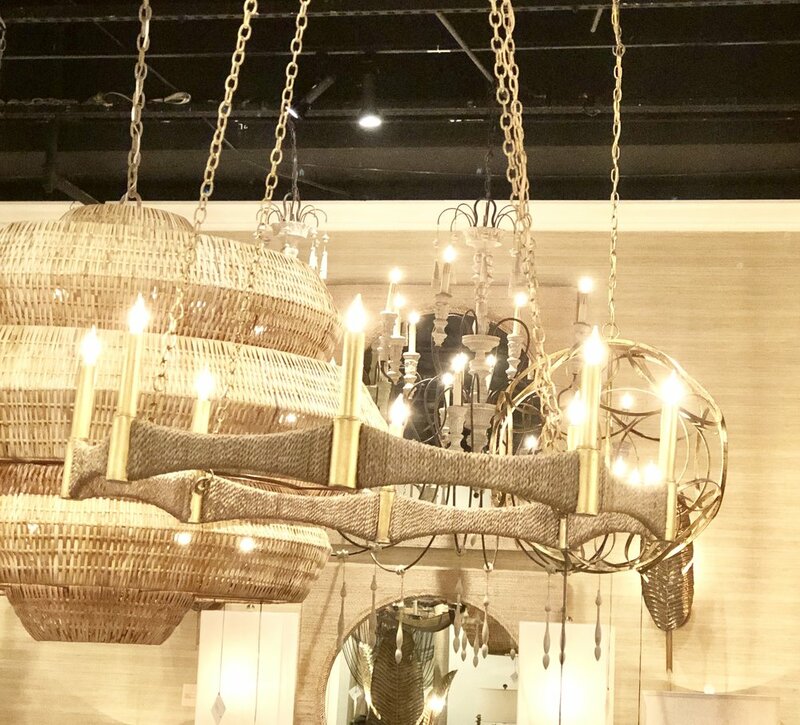 You’ll want ten feet of ceiling height or more to properly execute this idea; you don’t want to feel like the sky is falling down! If you’re ready to dive in, we’ll absolutely support you wallpapering your entire room. Our favorite room to see fully covered is a dining room. 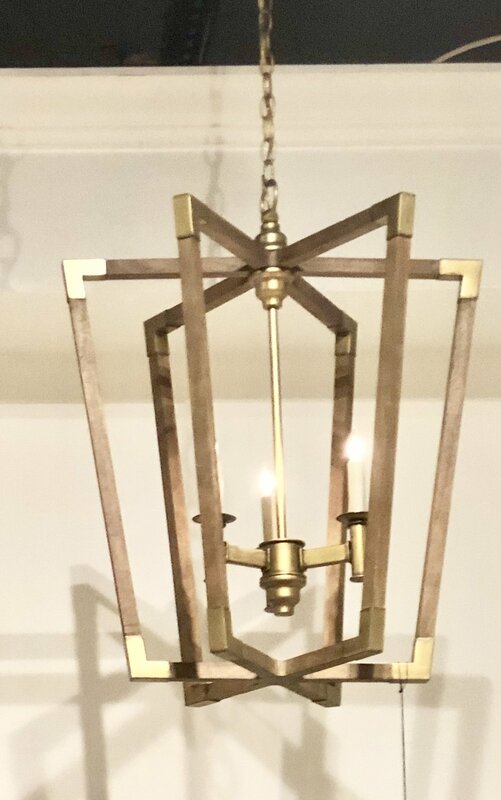 Although paper doesn’t have to be formal, carrying it throughout a room does lend a sense of decorum and what better space to do that in than a dining room? The floor to ceiling covering creates an exquisite place to enjoy a meal. If the full room is too much, consider adding a chair rail and wallpapering the top half of the room. 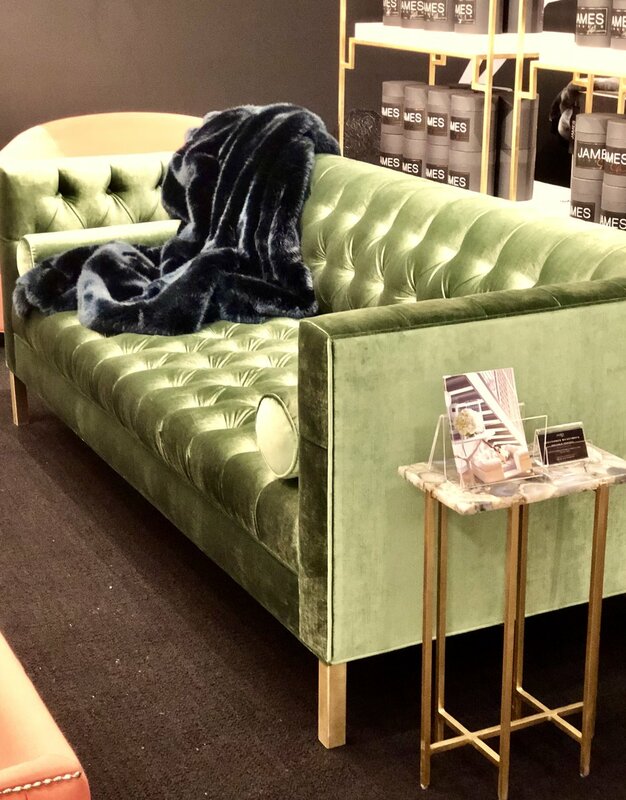 If you’re inspired to add this trend to your home, come by the store and browse our selection of Tempaper. It’s the one of the most affordable and easiest ways to apply wallpaper to any space. We’ve got a selection in store and books for browsing. We’ll be happy to help you create the wallpapered look of your dreams with Tempaper!